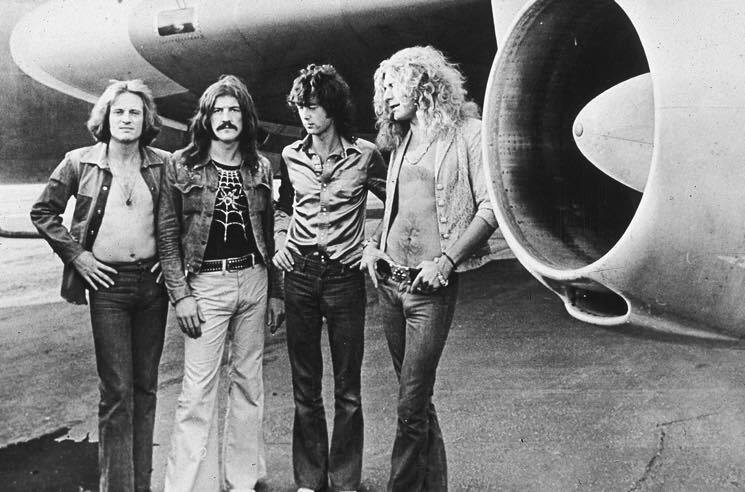 Back in April of this year, a judge ruled that a plagiarism case against Led Zeppelin concerning their iconic track "Stairway to Heaven" would be put before a jury. After a week's worth of testimony and arguments, the rock legends have won the case. The Hollywood Reporter writes that the jury of eight California citizens concluded today (June 23) in U.S. Federal Court that there was "no substantial similarity in the extrinsic elements" of "Stairway..." and Spirit's "Taurus," a song released in 1967. Having toured briefly with Spirit in the late '60s, Led Zeppelin guitarist Jimmy Page said being on the road may have helped influence his songwriting, though he called the plagiarism accusations "ridiculous." The case was initially brought forward by Michael Skidmore, a representative for late Spirit frontman Randy Wolfe (a.k.a. Randy California). Before he passed away in 1997, Wolfe complained about the likeness between "Taurus" and "Stairway to Heaven," with the latter being released four years later. The lawsuit was seeking upwards of $40 million in damages, as well as a songwriting credit for Wolfe. "They won on a technicality," plaintiff lawyer Francis Malofiy told reporters at the courthouse, EW reports. "We proved access. We proved they had access to the music, but [the jury] never heard the music. [A studio recording of Spirit's 'Taurus' wasn't actually played during the trail.] "
He continued: "So the jury's sitting there with basically blinders on without ever having the opportunity of hearing the evidence at issue. We're fighting with a foot stapled to the ground, and an arm tied behind our back, and it wasn't a fair fight." When asked about an appeal, the lawyer said, "There's obviously issues that can be appealed." To hear the similarities in question, take a listen to both songs in the players below.